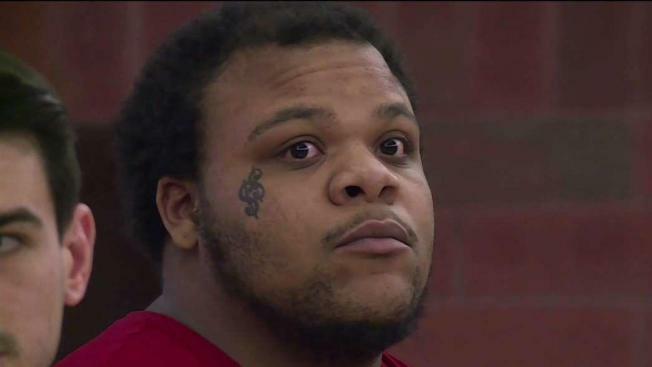 The man accused of shooting and killing one 17-year-old boy and injuring another in Hartford Wednesday afternoon opened fire on several people and told police that people who lived in the building robbed him and were threatening him, according to court documents. Neither of the people injured in the shooting at 898 Park St. in Hartford Wednesday lived in the building, according to police. Karlonzo Taylor, 17, of Hartford, was shot several times in the chest and died around six hours after the shooting, police said. Another 17-year-old boy was shot in the right arm and right torso. William Moore, 24, of Bristol, was arrested and charged with murder, assault in the first degree and criminal possession of a firearm after police spoke with witnesses. Moore appeared in court on Friday. One witness reported that around six people, including the two victims, were standing on the third-floor landing of the building when a man known as “Bill” walked up, pointed a gun at everyone and started shooting, according to the arrest warrant application. Police identified Moore as the suspect and interviewed him at the police station. During the interview, Moore told police that had been robbed in the area of 898 Park St. over the summer and the people who robbed him continued to threaten him and his family with physical harm. Moore told police he had knowledge that whoever was responsible for the robbery lived inside the apartment building, so he got a ride there, walked inside, shot the people in the hallway, then fled, according to the arrest warrant application. Moore's mother, Tenesha Lee, said her son suffers from paranoid schizophrenia and has difficulty getting the proper medication. "Bill gets in them ways where he thinks everyone is out to hurt him or poison him," Lee said outside court on Friday. Court documents reference a different teen other than the two injured in the shooting was arrested in August, accused of robbing Moore. Moore is being held on $1.5 million bond.